Celebrate with me: Still time to enter to win a NOOK! A little trivia about WHERE THE HEART LIES: My inspiration for Alicia’s red hair and perfect figure came from my daughter’s Disney Arial doll! She looked amazing in a long black skirt and white silk blouse with her brassy red hair falling over her shoulders. For a moment he had trouble breathing. He’d considered bringing flowers, but he’d known what Penny’s opinion of that would be, and more importantly he hadn’t wanted to do anything that would make Alicia uncomfortable. Confronted by her beauty, however, his fingers felt empty, as if he needed something to offer just for the opportunity to look at her. Was this how Aphrodite’s worshippers had felt as they left their worldly goods at the feet of her statue in ancient Greece? 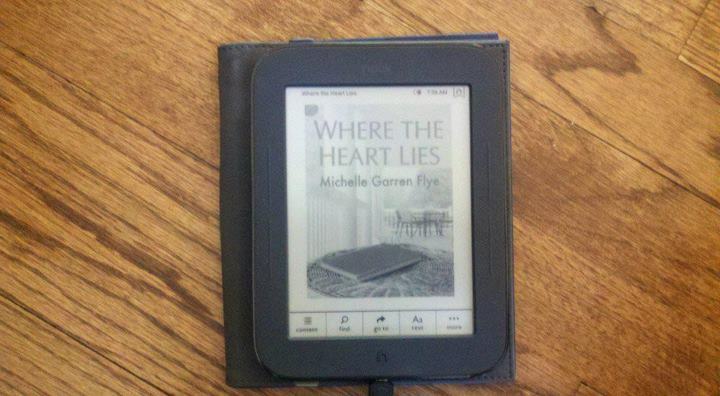 This entry was posted in Carina Press, E-reader Giveaway, Where the Heart Lies by michellegflye. Bookmark the permalink.